Just in case regular rollercoasters aren't exhilarating enough, Six Flags Great Adventure in New Jersey is unveiling a new virtual reality coaster where passengers become fighter pilots fending off terrorizing, blood-thirsty gargoyles. Sounds fun? But there's a catch. 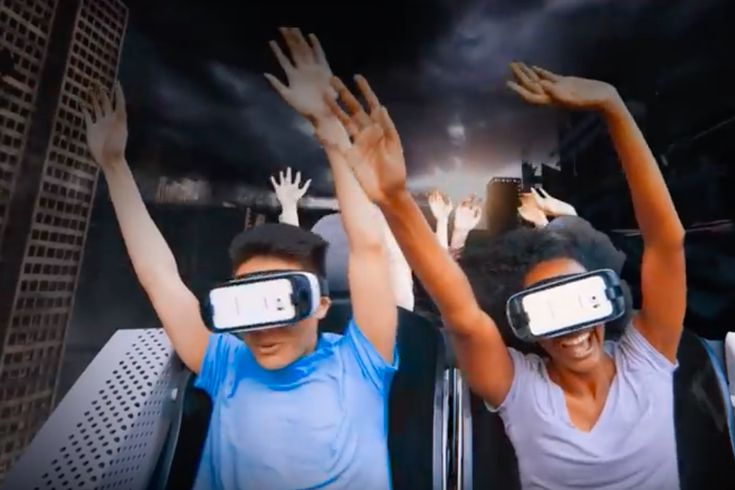 Six Flags says the park and Samsung provide all of the technology required to experience the ride, including the Samsung Gear VR headsets, powered by Oculus. The park's websites also says riders do not need to use their phone on the roller coaster. However, the ride is only open to those who own the Samsung Galaxy S7, Galaxy S7 Edge or Galaxy Note7; Great Adventure season pass holders; or those with a Fright Fest Haunted Attraction Pass. Frankly, with speeds topping out at 37 mph and recently-developed VR technology, my iPhone and I will stick with Kingda Ka and its blazing 128 mph top speed. Rage of the Gargoyles is set to open Sept. 24 at the Six Flags park in Jackson, New Jersey.